On Saturday, the Muslim Public Affairs Council (MPAC) held their 12th annual convention at All Saints Episcopal Church in Pasadena, Calif. It was a historic moment that generated significant controversy over the church's decision to host a Muslim organization's convention. Multiple news media outlets including the LA Times and New York Times covered the debate in the days leading up to the convention. I wasn't quite sure what to expect as I headed to the church that morning, but I guessed I might run into a few protestors there. Sure enough, they were there to greet me when I arrived. 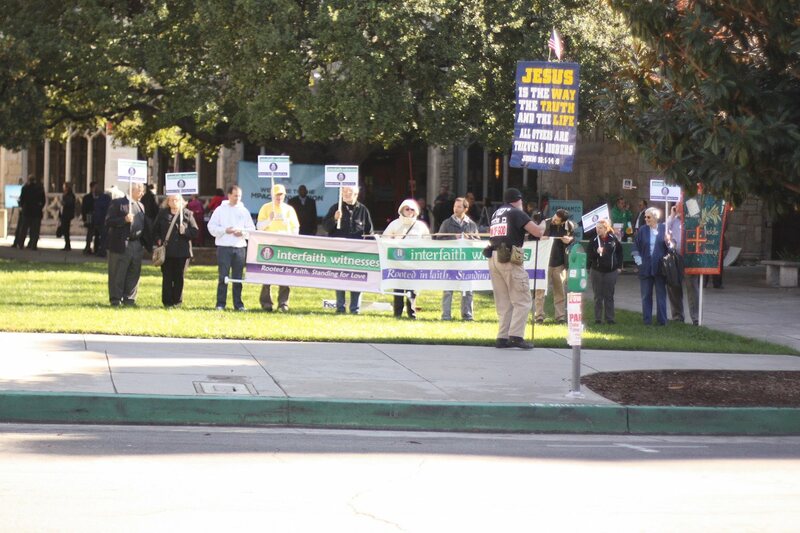 Just outside the front doors stood several men holding signs that insulted the Prophet Muhammad (PBUH). They had planted themselves there several hours prior to the start of the convention and were making it quite clear that they were vehemently opposed to Islam and any Christians who associated with its followers. Interestingly enough, though, these men weren't engaging Muslims convention-goers in this debate. They were actually yelling at peace protesters who showed up to support the Muslims! I was floored at this wonderful gesture of solidarity. The hate mongers began their campaign weeks before the actual event. All Saints' rector Rev. Ed Bacon said that when word got out that their church was hosting a Muslim convention, he received "some of the most vile, mean spirited emails I've ever read in my life." 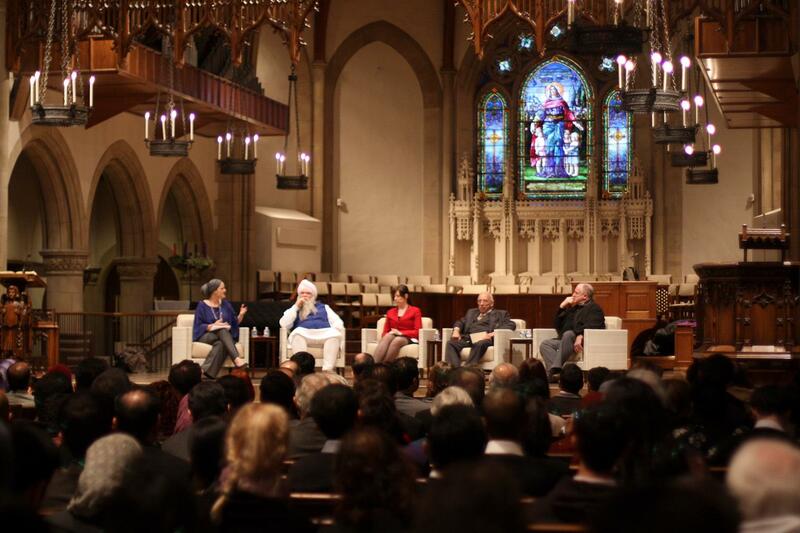 The fact that the church, which has worked with MPAC for over two decades, stood its ground in light of such hate symbolizes the true essence of successful interfaith relations. It proves that yes, members of different faiths can come together and support our brothers and sisters in humanity, even though we may not believe the same things or worship in the same manner. This concept of interfaith cooperation really set the tone for the rest of the convention. When I walked into the first session, I was pleasantly surprised to see a significant number of non-Muslims in attendance. I don't know if they were simply curious about all the controversy or really wanted to learn what our faith was all about, but I appreciated their presence through the last session, which was an interfaith panel attended by Rev. Bacon, a female rabbi, MPAC Senior Adviser Dr. Maher Hathout and a Sikh activist. One statement by the Reverend really stood out to me during the panel discussion: "One of the ways for evil to prevail is when good people do nothing and say nothing." I couldn't agree more. Had the church backed down when the pundits raised their heads, then evil would have indeed prevailed. Instead, we saw exactly how this idea of interfaith cooperation could move beyond words and into real action to overcome such bigotry. 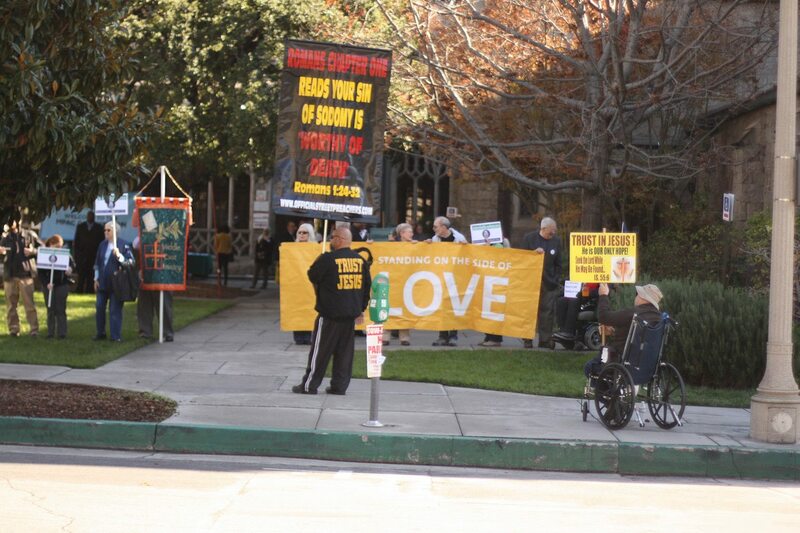 Hopefully, the critics who sent vile emails to the church and later protested outside have realized that their intolerance will no longer be heeded. The dynamic between our nation's faiths are changing, and the battle they fight is a losing one. I commend All Saints Episcopal Church for standing their ground and opening up their doors and hearts to their Muslim neighbors. I pray that one day we, too, can do the same for them.